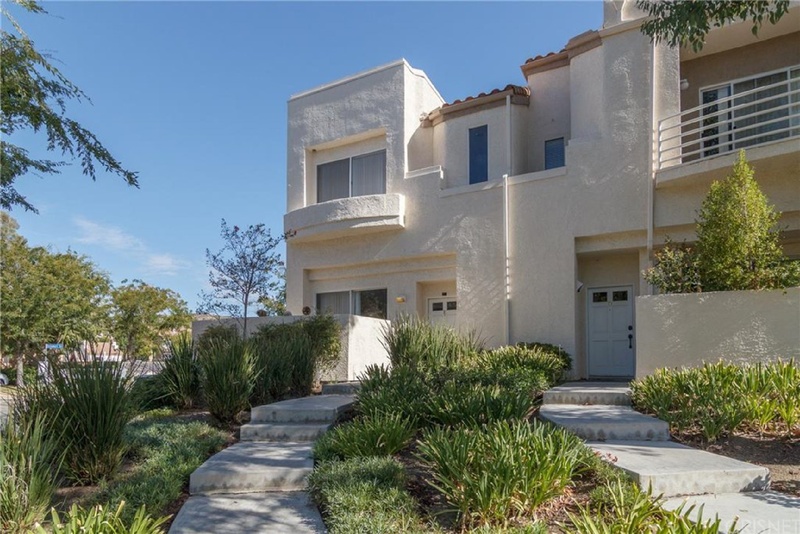 Desirable end unit in Stevenson Ranch. This unit features beautiful hard wood floors, living room with fireplace and slider to quaint patio. Formal dining area and kitchen open to the family room with a balcony. Upstairs features a master bedroom with fireplace, ceiling fan and balcony plus 2 additional bedrooms and full bath. Direct access to the unit from the 2 car garage with laundry. Fresh paint, light and bright and close to everything! Community features pools, tot lot and security. Hurry!